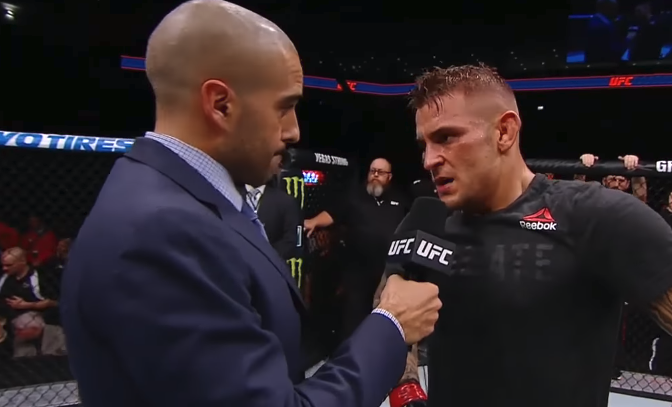 The UFC brought their latest FOX network special to Glendale Arizona on April 14th, featuring Dustin Poirier and Justin Gaethje in lightweight main event. 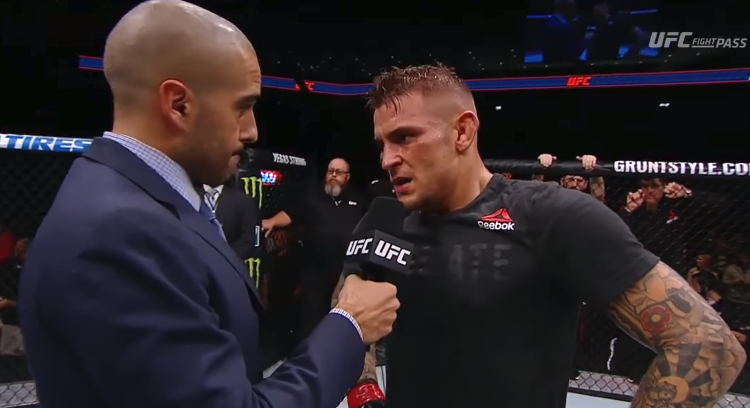 Dustin Poirier would have to wait until the fourth round, but he would snag the victory in what some are calling one of the best cards the UFC has had on FOX. Poirier would control the pace of the fight en-route to victory on Saturday night in Glendale. While Gaethje would be competitive until the fourth round, if it went to the scorecards, the lightweight challenger hampered his chances with several eyepokes which would lead to a point deduction from referee Herb Dean towards the end of round three. It would be Dean who would have to step in to stop the fight, as Poirier would land bombs onto Gaethje to the point where he seemed out on his feet. Check out UFC on FOX 29 results below.